El Camino de Santiago is the fabled path that weaves through French and Spanish countryside for 1,000 miles to its hallowed destination at Santiago de Compostella. Thousands attempt to walk its entirety each year: some succeed, many fail. 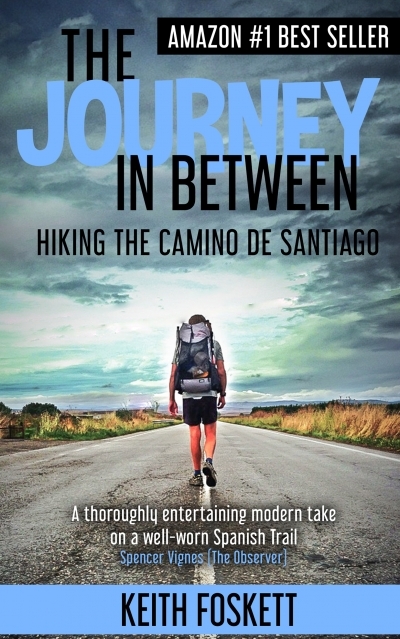 Keith Foskett hiked the Camino to indulge his love for the outdoors and hiking. He was assailed by new experiences and unexpected discoveries – from the pain of blisters and extremes of temperature to encountering kleptomaniacs, fake faith healers and being threatened with arrest in Spain for ‘not sleeping’. Written with insight, observation and a healthy dose of humour, this book shows it is rarely the start and the finish that count, but the journey in between.